Real McCoy Home Care recently sponsored a French wine and cheese tasting event as part of Cottonwood estates international celebration. 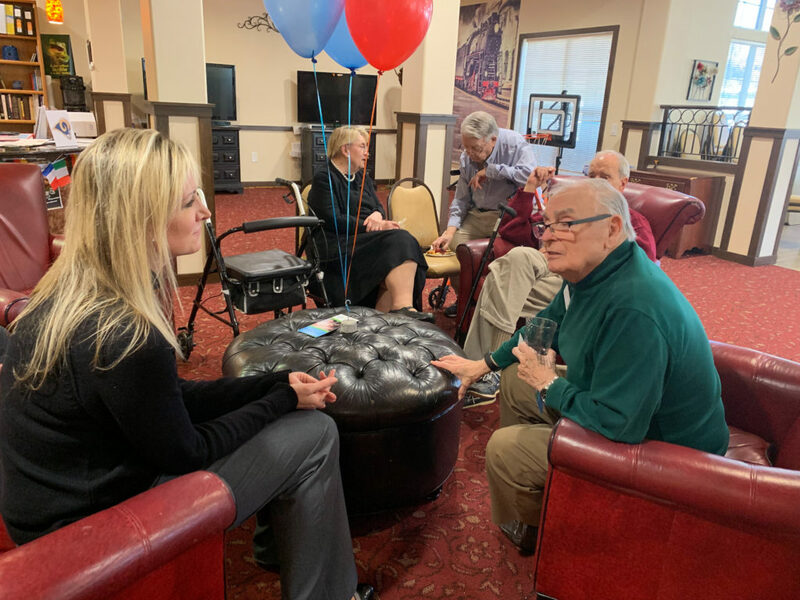 It was great to hear the residents stories about their trips to France including one resident who told us how he was stationed in France and was able to bring his family, so that during his deployment he and his family were able to travel throughout Europe. It was the trip of a lifetime for his teenage children. If you or an aging loved-one are considering Home Care Services in Alpharetta GA, please contact the caring staff. Email: info@realmccoyhc.com • Phone 404-536-1060. The Real McCoy Home Care is your locally owned and managed in-home, non-medical home care agency. Serving North Metro Atlanta.